Butterflies are really on-trend this year. There is some beautiful designer series paper that you can earn for FREE during Sale-A-Bration. 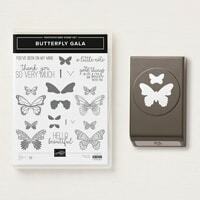 And some of the images can be punched out with the new Butterfly Duet Punch that is in the upcoming Occasions Catalog. If you are new to stamping, it is really easy to create simple cards (#simplestamping) with stamps, ink and paper! 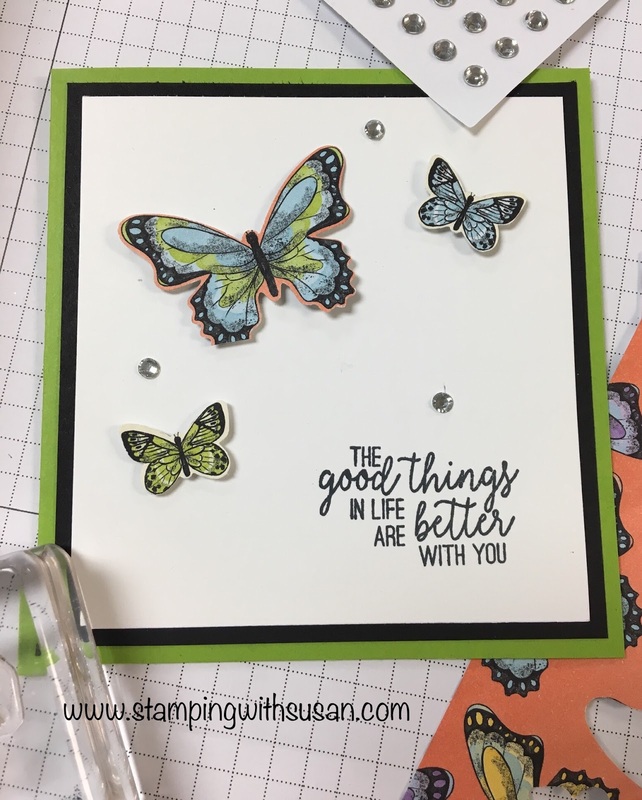 I love how the butterflies pop on this card! "The good things in life are better with you" That's how I feel about my stamping friends!